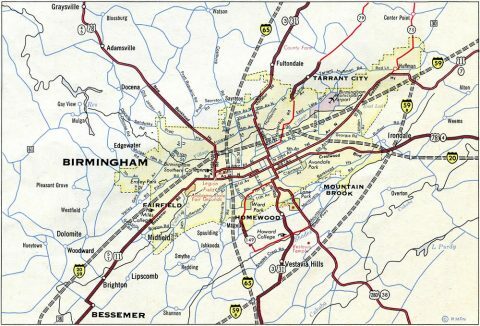 This set of Interstates includes those that were either signed at one point and legislatively decommissioned, renumbered as another Interstate, or planned and subsequently canceled. As planning documents arise either through library research, the internet, or other sources, expansion of the list below will occur with this information and photos as they are taken. The following status code indicates whether the Interstate was Dismantled (D); Partially Completed (P); Renumbered as another Interstate or freeway designation, U.S., or State Route (R); Unconstructed (U); or Numbering Proposed but Not Approved by AASHTO (N). * = Route built to expressway/parkway/boulevard standards rather than Interstate standards (controlled access). 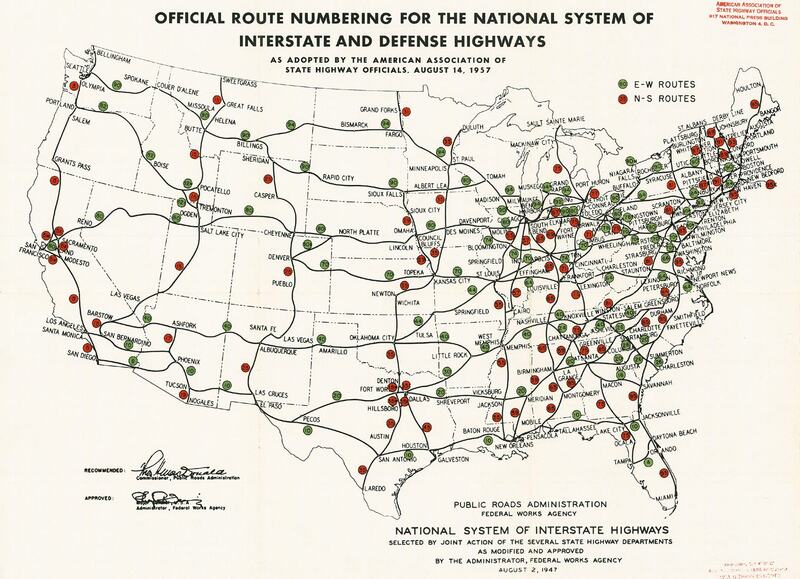 Official Route Numbering for the National System of Interstate and Defense Highways adopted by the American Association of State Highway Officials in August 1957. Interstate 80 from Youngstown southeast to Harrisburg was later changed to I-80N and ultimately I-76. The I-80N/S split east from Harrisburg now carries I-78 and I-76 respectively. Interstate 82 between Scranton and New York became I-81E (now I-380) and part of new I-80. Interstate 92 in Michigan was renumbered as the new alignment of I-94, with planned I-94 being replaced by I-96. 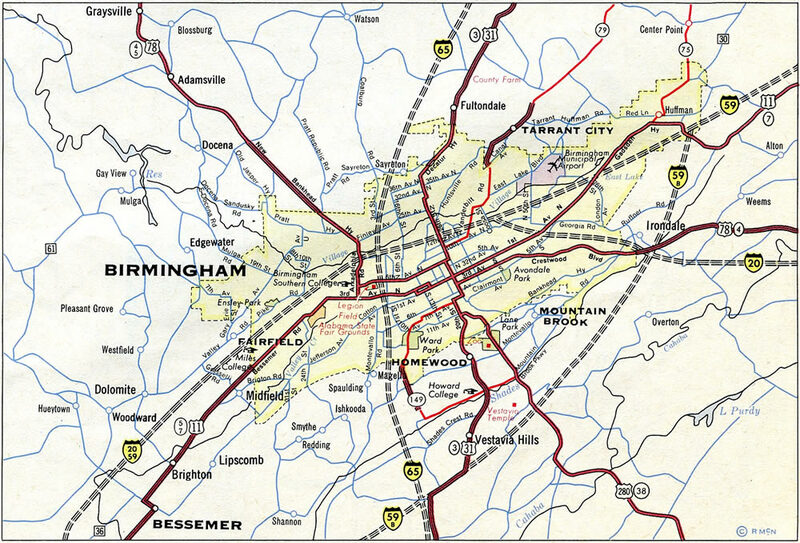 Interstate 59B was the proposed number for the Birmingham belt line (Interstate 459) in the early days of the Interstate System. 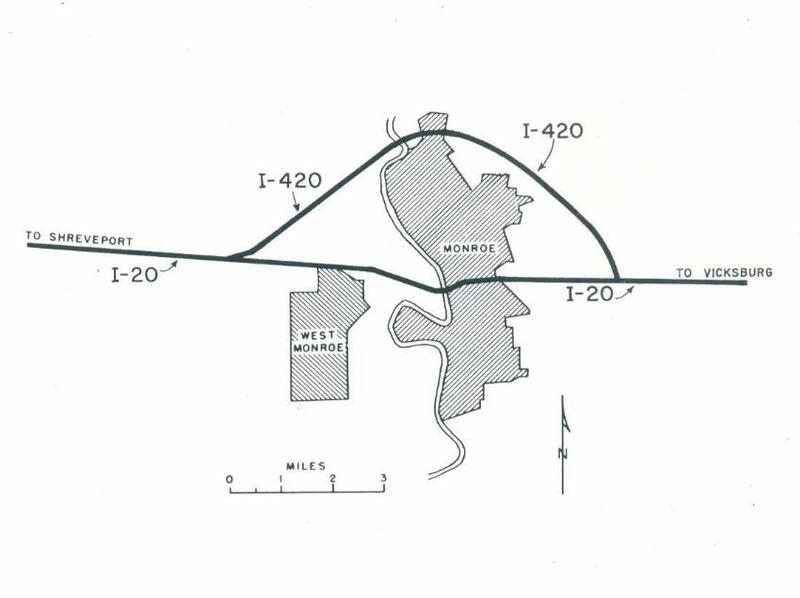 This Topeka, Kansas inset from 1960 shows Interstate 70 Bypass for what is now Interstate 470 bypassing the capital city to the south. 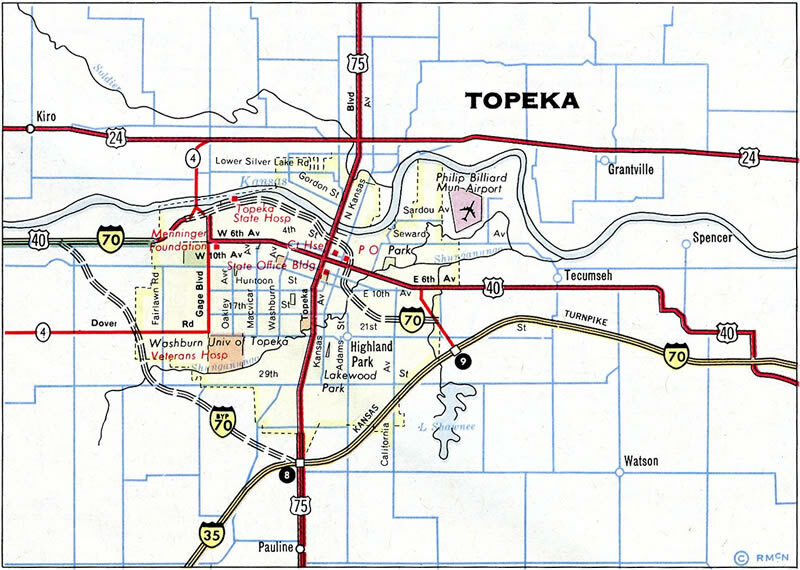 Note also the error I-35 shield posted for the Kansas Turnpike (now I-335). Interstate 35 was never envisioned for this stretch of the turnpike. Louisiana – Interstate System Route Numbering. http://nwindianahwys.homestead.com/LOUI.html Stephen Summers.